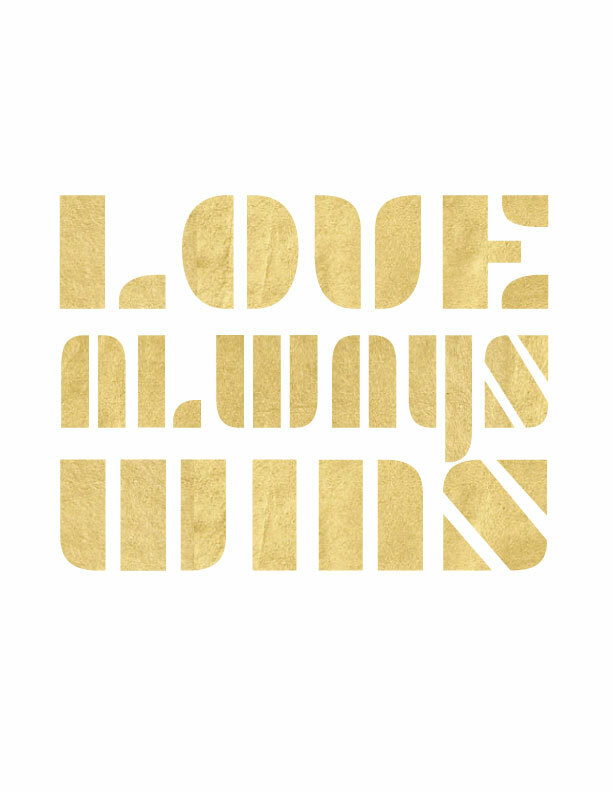 A few years ago, Rob Bell wrote a book called “Love Wins”. 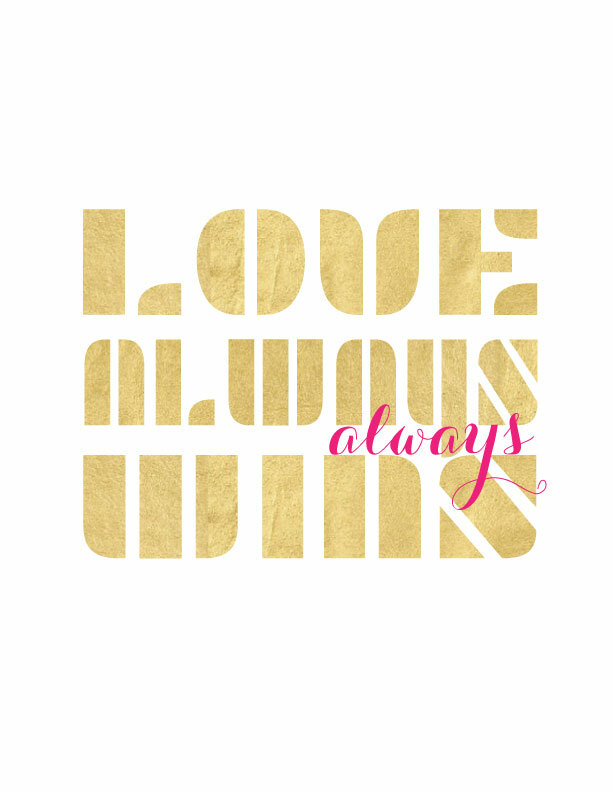 It inspired me to create a series of 3 printables, and I’ve been giving them away to my email subscribers ever since. I’ve had them hanging in my dining room as a reminder that love is the most powerful tool we have to change our everyday lives, not to mention the world. Loving people doesn’t mean we accept poor behavior or tolerate hatred, envy, jealousy or strife. It means we acknowledge our differences and love one another in spite of them. After the horrible demonstration of violence and murder in Charlottesville, it seems even harder to put this calling into practice. Morgan and I were just there a couple of weeks ago celebrating our 20th anniversary. I don’t think either of us anticipated what would occur a few days later on the very grounds we so happily strolled. 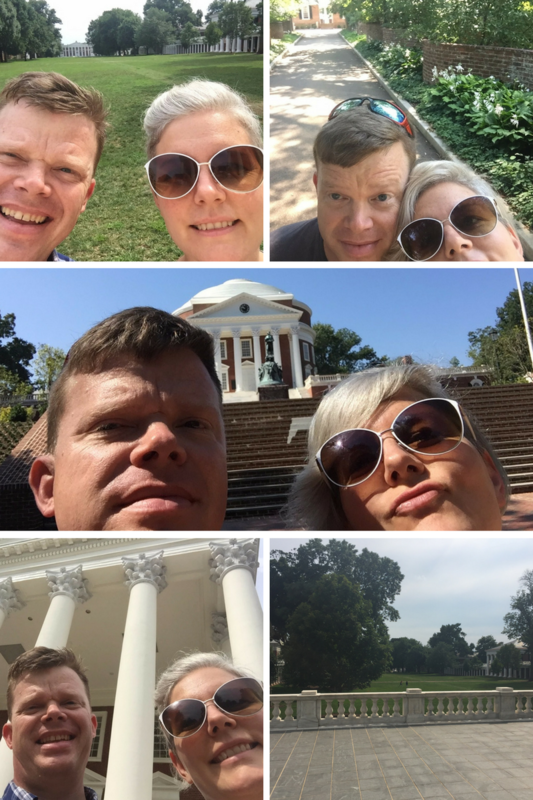 Morgan went to school at UVA and I married into it. We love this town and this university and my heart breaks for the tragedy that occurred there. I do not believe this is the character or identity of this town, rather it is a microcosm of what is happening silently across the nation. We have to stand for what we believe in and what I believe in is Love. After growing up in Memphis, TN and going to schools with great diversity and having lovely friends of all ethnicities, religions, and sexual orientations, it’s truly unfathomable to me that in 2017 such hate and vileness still exists. For me, this past weekend was a gigantic wake up call. We must not let this kind of thinking and action fester and grow. So, in my own way, small though it may be, I want to spread love. 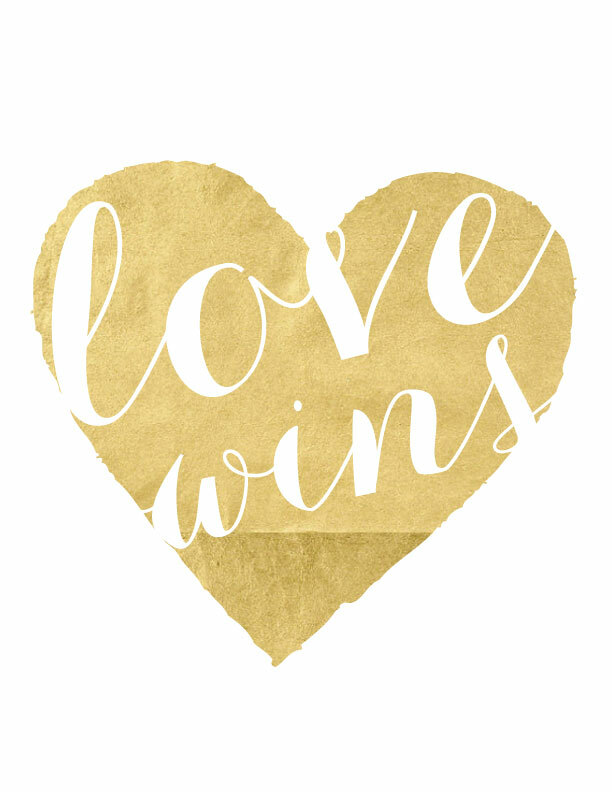 That’s why I’m sharing these “Love Wins” printables with you. You don’t have to subscribe to my email newsletter to get them anymore. They are my gift to humanity and I hope the world will see a little light by way of these simple designs. Love was poured into making them, may love be poured out through the sharing of them. To Download, just click here. Share them with everyone your know. I’m taking the restrictions off and asking you to share them. Print them off and hand them out. Post them on bulletin boards in libraries and coffee shops and everywhere in between. Spread love like it’s free money because it is. There is nothing in this life that is more valuable.